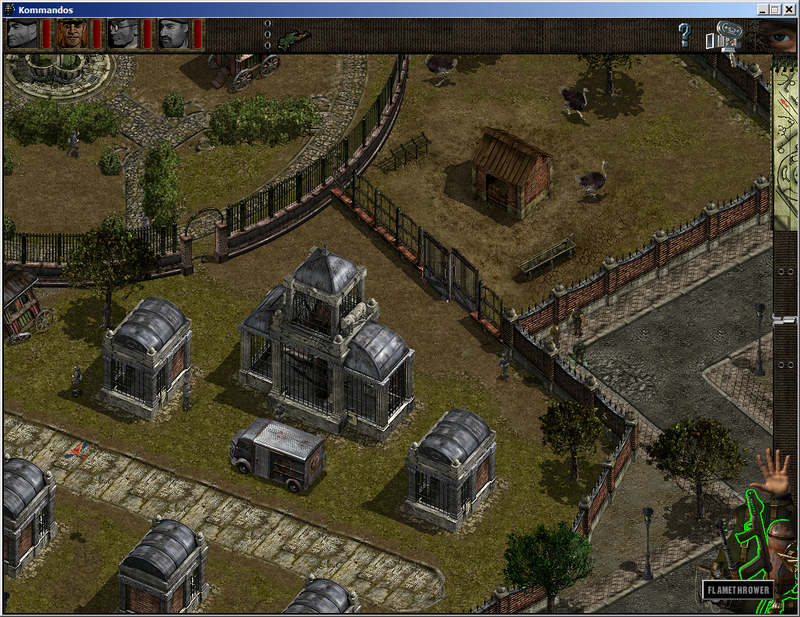 I got tired with switching to 16 bit desktop to be able to run BTCOD in windowed mode. So with bunch of lines of C++ code here it's. 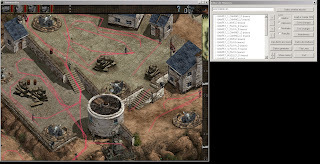 Additional feature is full-screen console with Lua interpreter and some game engine features available from Lua script. I had to implement DisplayDevice interface and provide some simple methods to create and resize game window, locking/unlocking primary drawing surface. With this new SdlDisplayDevice I was finally able to use quake-like console in the game window. You probably remember that previously it had to be in separate window. But that's not all. There is Lua script interpreter running and there are some features available. Just as proof of concept one can check current game engine state, select character and check some character attributes like type , name from the Lua script. More to come. Enjoy the video. Inspired by Oni Mod Anniversary Edition I started playing with code injection. My usual target is my favorite game Commandos Beyond the Call of Duty. I've bought original box version long time ago. My first goal was ability to reuse existing binary executable. It's easier to modify if you can see immediate result. I've start with few failed attempts of using game executable as dll library. I was able to load exe file as library using LoadLibrary Win32 Api call, but load address was always random, without proper reloc segment in exe file it's not possible to use any code from that binary directly, and reconstructing entire reloc segments seemed as impossible task. So I've change my approach. Instead of using binary as dll I decided to create my shared library and inject custom code into starting process. There is an easy way to do that on Windows. One have to create dll library with the same name as one used by executable. In my case coman_mp.exe uses ddraw.dll. Created library have to provide list of exported functions. 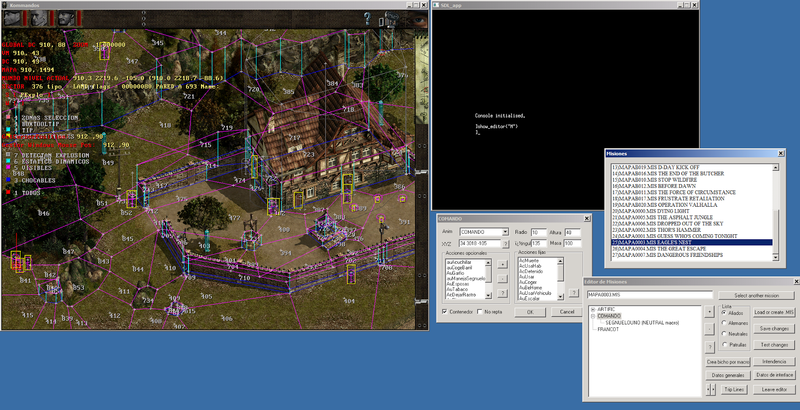 Fortunately game binary (coman_mp.exe) uses only one functions from ddraw.dll (DirectDrawCreate). This approach is based on assumption that game binary will be loaded and fully initialized before any of dynamic libraries required by this binary. During the loading and dynamic linking stage system loader will look for required dynamic libraries in current working directory. So it's enough to create dll that provides DirectDrawCreate function and dummy IDirectDraw interface implementation and store it in the same directory where game binary is. Code sample presents dynamic library source. 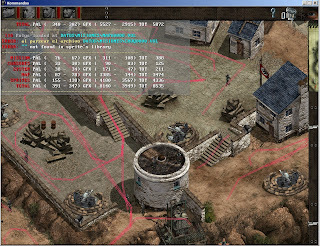 This was just very simple introduction to story about my work with Commandos BTCOD game binary. Finally flamethrower can be used to kill Nazis. Last step will be creating proper flame animation. Finally flamethrower is almost usable. Now proper character animation is used. Check the video. One thing still missing proper flame animation. Anyone interested in making one. Let me know. It was brought to my attention that there is possibility to use a flamethrower in BCOD. So I started playing with it. As far as I know only Mechanic character has proper animations for it. I found a way how to add it to backpack. It's still not fully usable. Just work in progress. 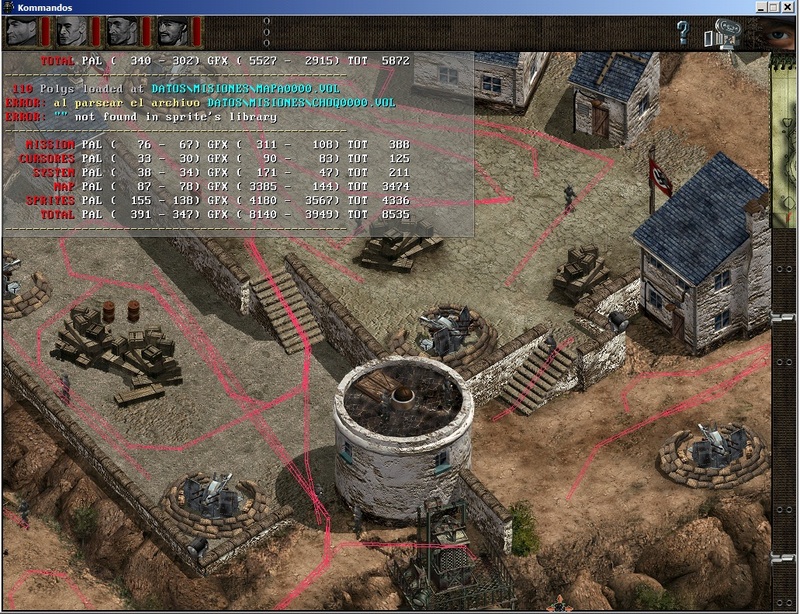 Commandos BCOD with game editor and Lua interpreter. I was playing with some code injection and I was able to inject entire Lua interpreter into existing game. Below you can see some examples of my recent work. Also I found that some debug options in BCOD were left by developers they have removed just key shortcuts. Current status is that I can use Lua interpreter to investigate and modify state of the game. My plan is to use Lua to extend existing game engine with some fun stuff.